This is an Icelandic name. The last name is patronymic, not a family name; this person is referred to by the given name Hafþór. Hafþór Júlíus Björnsson (Icelandic pronunciation: ​[ˈhafθour ˈjuːlijʏs ˈpjœr̥sɔːn]; born November 26, 1988) is an Icelandic professional strongman and actor. He is the current World's Strongest Man and is the first person to have won the Arnold Strongman Classic, Europe's Strongest Man and World's Strongest Man in the same calendar year. He plays Gregor "The Mountain" Clegane in the HBO series Game of Thrones. He also is a former professional basketball player. Born in Reykjavík, Hafþór began his basketball career in 2004 with Division I team Breiðablik, moving to FSu in 2005. He transferred to Premier League side KR in 2006 before returning to FSu in 2007. He helped FSu to promotion from Division I to the Premier League but his career was cut short in 2008 due to a recurrent ankle injury. He subsequently began his strongman career. Hafþór won the Strongest Man in Iceland event in 2010, and won Iceland's Strongest Man in 2011. He won Europe's Strongest Man in 2014, a feat he repeated in 2015, 2017, 2018, and 2019. He won silver at the 2017 Arnold Strongman Classic, improving to gold in 2018 and 2019. He competed in his first World's Strongest Man in 2011, placing sixth. He won three bronze and three silver medals in his next six attempts before being crowned champion in 2018. Hafþór began his athletic career as a basketball player. At 2.06 m (6 ft 9 in), he started his senior team career with Division I club Breiðablik in 2004, playing as a center. In 2005 he joined FSu Selfoss, also in the Icelandic Division I. After 10 games it was discovered that he had been playing with a broken bone in his ankle and would require surgery. After recovering from surgery, Hafþór moved to Úrvalsdeild powerhouse KR in 2006. He missed most of the 2006–2007 season after a screw in his ankle shattered and had to be fixed by another surgery. For the 2007–2008 season, he moved back to play for FSu Selfoss. He averaged 6.7 points per game, helping the team achieve promotion to the Úrvalsdeild, but the troublesome ankle forced him to retire from basketball after the season, at the age of 20. Between 2004 and 2006 Hafþór played 32 games for the Icelandic junior national basketball teams. In 2006 he played 8 games with Iceland's U-18 national team in Division A of the U18 European Championship. Hafþór met Icelandic strongman Magnús Ver Magnússon at his gym "Jakaból" in 2008, and Magnús said that Hafþór seemed a good prospect as a strongman. 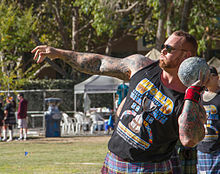 Hafþór won several strongman contests in Iceland in 2010 including Strongest Man in Iceland, Iceland's Strongest Viking, Westfjords Viking, and five of six events at the OK Badur Strongman Championships. Hafþór finished in second place at the inaugural Jón Páll Sigmarsson Classic in November 2010, behind Brian Shaw. He won the 2011 Strongest Man in Iceland contest on June 4, 2011, and the 2011 Iceland's Strongest Man contest on June 18, 2011. He placed fourth in the Giants Live Poland 2011 event on August 6, 2011. In January 2015, at the World's Strongest Viking competition held in Norway, Hafþór carried a 10-metre-long (33 ft), 650-kilogram (1,430 lb) log for five steps, thus breaking a 1,000-year-old record set by Orm Storolfsson. Hafþór took part in World's Strongest Man after earning a wild card invitation to the 2011 contest. He came in sixth overall. Taking part again in ensuing years, he placed third in 2012, 2013 and 2015. He finished runner-up in 2014 event to Žydrūnas Savickas and again in the 2016 event to Brian Shaw. In 2017, Hafþór once again was runner up, this time to Eddie Hall. Hafþór won the 2018 World's Strongest Man, thus becoming the first Icelander to win the title since Magnús Ver Magnússon in 1996. On March 3, 2018, Hafþór broke the Elephant Bar deadlift world record with his successful 472 kg (1,041 lb) third attempt, as well as being champion of the Arnold Strongman Classic 2018. The previous Elephant Bar deadlift world record of 468 kg (1,032 lb) was set by Jerry Pritchett at the Arnold Strongman Classic 2017. Hafþór defended his title at the Arnold Strongman Classic 2019; he finished on 45 points, 4.5 points ahead of runner-up Martins Licis. He also improved on his elephant bar world record, increasing it to 474 kg (1,045 lb) with his second attempt. He tried for 501 kg (1,105 lb) in his third attempt but was unsuccessful. Hafþór was cast as Ser Gregor "The Mountain" Clegane for the fourth season of the HBO series Game of Thrones in August 2013. This was his first main acting role, and he is the third person to depict the character after Conan Stevens played the role in season 1 and Ian Whyte in season 2. He became the first actor to portray Clegane in more than one continuous season with his appearances in season 4, season 5, season 6 and season 7. Hafþór was cast for the role of Mongkut in the 2017 film Kickboxer: Retaliation. Hafþór played the lead role in the Philadelphia Renaissance Faire during their debut season in 2015. He appeared as "King Thor", the leader of a Viking raiding party intent on capturing the city of Amman. Hafþór was born in Reykjavík. He has a sister, Hafdís Lind Björnsdóttir. His father, Björn, stands at 203 cm (6 ft 8 in), and his mother, Ragnheiður, is of similarly tall stature. Hafþór's grandfather, Reynir, is 207 cm (6 ft 9 1⁄2 in) and "just as broad across the chest". Reynir recalled in 2014 that Hafþór worked on the family farm outside Reykjavík as a child and "was always big, even when he wasn't tall". Hafþór has a daughter, Theresa Líf, with former girlfriend Thelma Björk Steimann. Until early 2017, he was in a relationship with Andrea Sif Jónsdóttir whom he met at a gym. They lived together in Reykjavik sharing a Pomeranian named Asterix. Asterix has his own Instagram page, run by Hafþór himself. Since late 2017, Hafþór had been dating Kelsey Henson, a Canadian waitress. The two met when Hafþór was in Alberta, Canada for a strongman competition and visited the bar where Henson worked. The couple garnered much attention for the difference in their respective heights, as Henson is 157 cm (5 ft 2 in). On 21 October 2018, Hafþór announced on his Instagram page that he and Henson are married. Hafþór has several tattoos including those in relation to Norse deities and the Viking culture. He also has a tattoo of Jón Páll Sigmarsson on his calf. Hafþór and his former girlfriend Andrea have spoken about his occasional sleep troubles after a heavy meal due to his body weight. In March 2017, he was diagnosed with Bell's palsy. In a 2017 interview for ESPN's E:60, Hafþór admitted to using steroids. He did not elaborate on when or how long he used steroids, and when asked if he still continues to use steroids, he responded, "Can we just skip those questions?" Hafþór is a brand ambassador for SodaStream, a company involved in manufacture of a device for making carbonated water at home. He has appeared in advertisements of the brand promoting environmental awareness and collaborated in one with fellow Game of Thrones actor Hannah Waddingham (who played Septa Unella). In 2016, Hafþór co-founded the spirits brand Icelandic Mountain Vodka. The main focus of the company is a seven-time distilled Icelandic vodka, as well as having a gin production. Keg toss – 8 kegs in 16.35 seconds (World's Strongest Man 2014). Strongman record. ^ "Hafþór Björnsson". theworldsstrongestman.com. Retrieved March 4, 2018. ^ Zoe Szathmary (May 7, 2018). "'Game of Thrones' star named 2018 World's Strongest Man". Fox News. Retrieved November 16, 2018. ^ a b "Hafthor Bjornsson". www.strongman.org. Strongman. Retrieved February 18, 2018. ^ a b BarBend Team. "Breaking News: Hafthor Bjornsson Wins 2018 World's Strongest Man in Manila". BarBend. Retrieved May 6, 2018. ^ a b Tom Sunderland. "'The Mountain' Hafthor Bjornsson Crowned 2018 World's Strongest Man". Bleacher Report. Retrieved May 6, 2018. ^ Körfuknattleiksdeild (July 11, 2006). "Hafþór Björnsson genginn til liðs við KR" (in Icelandic). Retrieved March 4, 2018. ^ Drengjaflokkur, Körfuknattleiksdeild (November 12, 2006). "Hafþór Júlíus Björnsson leikur ekki meira á þessari leiktíð" (in Icelandic). Retrieved March 4, 2018. ^ "FSu 2007-2008 statistics" (in Icelandic). Retrieved March 4, 2018. ^ "FSu í úrvalsdeildina í körfu karla" (in Icelandic). Morgunblaðið. April 2, 2008. Retrieved March 4, 2018. ^ "About Hafþór". hafthorbjornsson.com. Retrieved March 4, 2018. ^ Editorial(DV) (April 11, 2017). "Hafþór Júlíus: Ofvirki Skagastrákurinn sem breyttist í vöðvafjall" (in Icelandic). DV. Retrieved March 4, 2018. ^ "Landslið unglinga- og drengja". Icelandic Basketball Federation. Retrieved March 4, 2018. ^ "FIBA Europe - Hafthor Bjornsson". FIBA Europe. Retrieved March 4, 2018. ^ Randall J. Strossen (May 29, 2010). "Magnus Ver Magnusson: Icelandic Strongman Scout". IronMind. Retrieved March 4, 2018. ^ "Hafþór Júlíus sterkasti maður á Íslandi". Vefsíðan Grindavíkurbæjar (in Icelandic). June 8, 2010. Retrieved April 5, 2018. ^ "Hafþór Júlíus Björnsson". vodvafikn.net. Archived from the original on September 15, 2017. ^ a b c Randall J. Strossen (August 10, 2010). "Haffþór [sic] Júlíusson Björnsson wins Iceland's OK Budar Strongman Contest". IronMind. Archived from the original on December 10, 2011. ^ Randall J. Strossen (November 22, 2010). "Brian Shaw Wins the Inaugural Jon Pall Sigmarsson Classic Strongman Contest". IronMind. Retrieved March 4, 2018. ^ Randall J. Strossen (June 6, 2011). "Hafthor Julius Bjornsson Wins the Strongest Man in Iceland". IronMind. Retrieved March 4, 2018. ^ Randall J. Strossen (June 19, 2011). "Hafthor Julius Bjornsson Wins Iceland's Strongest Man". IronMind. Retrieved March 4, 2018. ^ Randall J. Strossen (January 1, 2015). "Hafthor Wins World's Strongest Viking, Sets Sights on World's Strongest Man". IronMind. Retrieved March 4, 2018. ^ Randall J. Strossen (August 8, 2011). "Giants Live–Poland: Radzikowski, Jenkins and Baron Make WSM Cut . . . Bjornsson Gets Wild Card". IronMind. Retrieved March 7, 2018. ^ Cindy Boren (May 19, 2014). "'Game of Thrones' villain is second-strongest man in the world". The Washington Post. Retrieved May 19, 2014. ^ Páll Stefánsson (April 1, 2014). "Hafþór Júlíus Runner up in World's Strongest Man Comp". Iceland Review. Retrieved March 7, 2018. ^ BarBend Team (May 27, 2017). "Breaking: Eddie Hall Wins 2017 World's Strongest Man in Botswana". BarBend. Retrieved March 4, 2018. ^ Mather, Victor (May 7, 2018). "The Mountain from Game of Thrones Wins World's Strongest Man Title". The New York Times. ^ "Game of Thrones' 'The Mountain' sets new strongman record". Canoe.com. March 7, 2018. Retrieved March 8, 2018. ^ "2018 Arnold Strongman Classic - Rogue Elephant Bar Deadlift - Full Live Stream Event 4". Youtube. Rogue Fitness. March 4, 2018. Retrieved March 25, 2018. ^ Ours is the Fury (August 30, 2013). "Mountain Recast". WinterIsComing.net. Retrieved August 30, 2013. ^ "The Mountain in Belfast, and Game of Thrones filming in Split continues despite flooding". Watchers On The Wall. September 13, 2014. Retrieved October 10, 2014. ^ Dan McQuade (April 8, 2015). "Mountain Comes to Philly Ren Faire". Philadelphia Magazine. Retrieved March 7, 2018. ^ a b c Borden, Sam (November 1, 2014). "Icelandic Strongman Does Heavy Lifting on a Second Career as an Actor". The New York Times. Retrieved March 4, 2018. ^ "Hafþór Júlíus Björnsson - The Mountain". www.facebook.com. Retrieved September 30, 2018. ^ "Hafþór Júlíus Björnsson on Instagram: "My daughter Theresa Líf - beautiful design from her mother :) repost via @instarepost20 from @thelmasteimann All about the maxi dress…"". Instagram. Retrieved September 30, 2018. ^ "Strongman "The Mountain" facing new serious accusations of domestic violence". Icelandmag. Retrieved September 30, 2018. ^ a b "Strongman "The Mountain" denies accusations of domestic violence, threatens suing for libel". Icelandmag. Retrieved September 30, 2018. ^ Ćirić, Jelena (May 8, 2018). "Controversial Figure "The Mountain" Becomes World's Strongest Man". Iceland Review. Retrieved September 30, 2018. ^ a b c d "Everything you don't know about The Mountain". Looper.com. Retrieved September 30, 2018. ^ a b c "Twenty-Four Hours With The Mountain". Men's Health. March 2, 2017. Retrieved September 30, 2018. ^ "Asterix 🦁 (@asterix_astrikur) • Instagram photos and videos". www.instagram.com. Retrieved September 30, 2018. ^ "These photos of The Mountain from 'Game of Thrones' and his tiny girlfriend have baffled Instagram users". Business Insider. Retrieved September 30, 2018. ^ a b "Kelsey Henson, the Mountain's Girlfriend, Tells Her Fans How She Kisses Him". www.journalpost.com. Retrieved September 30, 2018. ^ Björnsson, Hafþór (October 21, 2018). "It is with great pleasure..." Instagram. Retrieved October 21, 2018. ^ Rendon, Christine (October 22, 2018). "Enormous Game of Thrones star Hafþór Júlíus Björnsson ties the knot with girlfriend". The New Zealand Herald. Retrieved October 23, 2018. ^ "'The Mountain' Hafþór Júlíus Björnsson has Bell's palsy". theconversation.com. April 6, 2017. Retrieved March 4, 2018. ^ Gianni Verschueren. "Game of Thrones' 'The Mountain' Hafthor Julius Bjornsson Says He's Used Steroids". Bleacher Report. Retrieved April 14, 2019. ^ Jake Cappuccino (July 17, 2016). "The Mountain's Amazing New Alcohol Is Basically A "Game Of Thrones" Vodka". Elite Daily. Retrieved March 4, 2018. ^ Jay Hathaway (June 4, 2014). "Watch The Mountain from Game of Thrones Deadlift Almost 1,000 Pounds". Gawker.com. Retrieved June 5, 2014. ^ Jake Boly (March 1, 2019). "Hafthor Bjornsson Deadlifts a 474kg Elephant Bar World Record (Closely Misses 501kg)". BarBend.com. Retrieved March 2, 2019. ^ "Europe's Strongest Man 2018 - Log Lift 213kg - Thor". YouTube. Europe's Strongest Man. April 7, 2018. Retrieved April 8, 2018. ^ Kyle Newport (February 3, 2015). "The Mountain from 'Game of Thrones' Breaks 1,000-Year-Old Weightlifting Record". Bleacher Report. Retrieved March 4, 2018. ^ BarBend Team (August 15, 2016). "Hafthor Bjornsson Breaks His Own Keg Toss World Record in Botswana". BarBend.com. Retrieved March 23, 2017. ^ "World's Strongest Man 2014". Strongman.org. March 19, 2014. Retrieved May 9, 2018. ^ a b c d Jake Boly (December 17, 2018). "Hafthor Bjornsson Puts Up Big Total At Powerlifting Meet". BarBend. Retrieved December 21, 2018. ^ Armen Hammer (November 7, 2017). "Hafthor Bjornsson Destroys A 440kg/970lb Squat". Floelite.com. Retrieved February 17, 2018. ^ Nick English (November 27, 2018). "Thor Bjornsson PRs His Bench Press With 245 Kilograms, 2 Weeks Out From Powerlifting Meet". BarBend. Retrieved November 30, 2018. 245kg/539lbs bench PR on my 30th birthday! Wikimedia Commons has media related to Hafþór Júlíus Björnsson. "Hafthor Bjornsson basketball profile". Eurobasket. This page was last edited on 15 April 2019, at 15:46 (UTC).